There is absolutely nothing better than a warm, fresh-from-the-oven cookie! These soft and chewy white chocolate cranberry walnut cookies are beyond simple to prepare, and even easier to watch disappear! 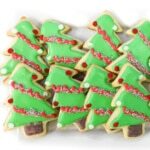 These cookies are so festive, they make the perfect cookie for a holiday bake sale or party. But to be honest, I make these pretty much all year round because who doesn’t like white chocolate, walnuts and cranberries? This flavour combo is just amazing. You’ve got sweetness from the white chocolate, a slightly crunch from the walnuts, and the perfect tangy bite from the dried cranberries. I don’t know anyone who doesn’t love these. Plus, I love how tall and chewy they are, instead of thin, crispy and brittle. That’s a huge win in my books. 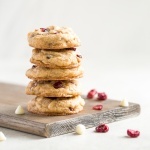 What else makes these soft and chewy white chocolate cranberry walnut cookies amazing? Well, as I mentioned, they are beyond simple to prepare. They take literally 5 to 10 minutes to prepare (basically while the oven is preheating anyways) and 15 minutes to bake. Yup, 15 minutes. When you are craving a delicious treat, nothing else is on your mind than taking that first bite. Time matters!! You can also make these cookies larger by using 3 tablespoons instead of 2 per cookie, and let them cook 1 minute longer. I like them a little smaller (because then I can eat more, right?). Either way, I think these are going to find a permanent home in my kitchen because I already want to make them again! Soft and chewy white chocolate cranberry walnut cookies are beyond simple to prepare and make the perfect holiday treat. Preheat oven to 325 F. In a small mixing bowl, combine flour, baking soda, and salt, then set aside. In the bowl of a stand mixer with paddle attachment fitted, mix together the brown sugar, sugar, and cooled, melted butter until well mixed, about 1 minute. Add the egg, egg yolk, and vanilla, then mix for 1 minute more. Scrape down the sides, then mix again. With the mixer running on low, add the dry ingredients and mix until just incorporated. Fold in the cranberries, walnuts, and white chocolate chips. Roll out cookies into balls using about 2 tablespoons dough for each, then place 2 inches apart on a parchment or silpat-lined baking sheet. Bake for 15 minutes, rotating the tray about halfway through cook time. Let cool for 10 minutes, then transfer to a wire rack to cool 5 minutes further. 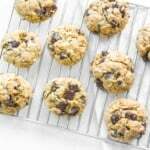 If you prefer larger cookies, use 3 tablespoons instead of 2 per cookie, and let them cook 1 minute longer. I love who’re chocolate and cranberry combination together. 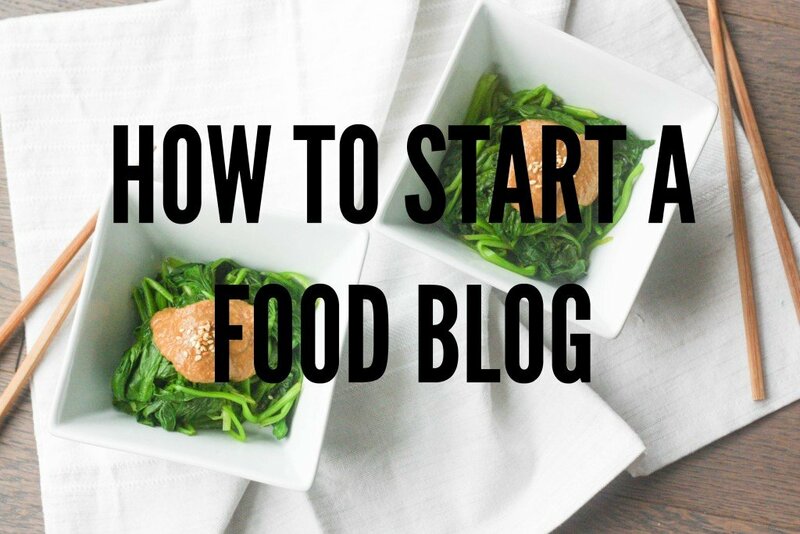 I have a similar recipe on my blog! Isn’t it the best combo ever!! Perfect timing with this recipe. I was just looking for something sweet to make to bake for kiddos school baking assignment. These cookies look fantastic. I love walnuts-cranberry combo. I bet all the kids will love it to. Cranberries and white chocolate are a match made in heaven. These cookies wouldn’t last long around my family. Holiday baking is what I wait for all year long. These cookies sound like a great holiday cookie to add to our baking list. I love everything about these cookies! 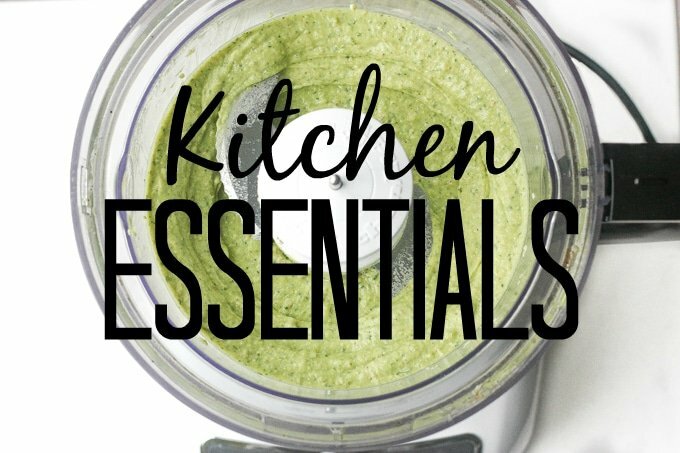 All the ingredients you have added scream holidays! They sure do! Glad you like the recipe! Yes Please!!! I love how easy this is to bring together and what a great flavor combination .. one of my favorites this time of year… they look amazing! I love the pop of flavor dried cranberries give to a cookie, and they add such a festive color as well! Just perfect! I love these cookies! Festive for the Holidays yet I can enjoy these cookies year round! Adding to my cookie swap! These white chocolate cranberry cookies are just perfect for the holidays! And I love that you made them soft and chewy; that’s my kind of cookie! A classic cookie that’s just perfect for the holidays! I haven’t made these in a long time, thanks for reminding me to make them again! What could be more festive than white chocolate, cranberries, and walnuts? 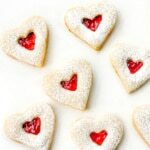 These cookies look super delicious and I will add them to my to-bake list for next weekend! Warm, chewy homemade cookies are one of my favourite indulgences. Loving the white chocolate, cranberry and walnut in these too – such a great flavour combination, and really festive! These White Chocolate Cranberry Cookies look out of this world. 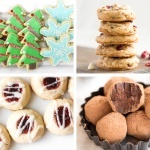 What a perfect holiday gift idea, a Christmas cookie party, or just an indulging afternoon snack. Also, Sam, these photos are gorgeous. They look so fluffy and enticing. Thanks for the post.